go ahead. be god for a day. 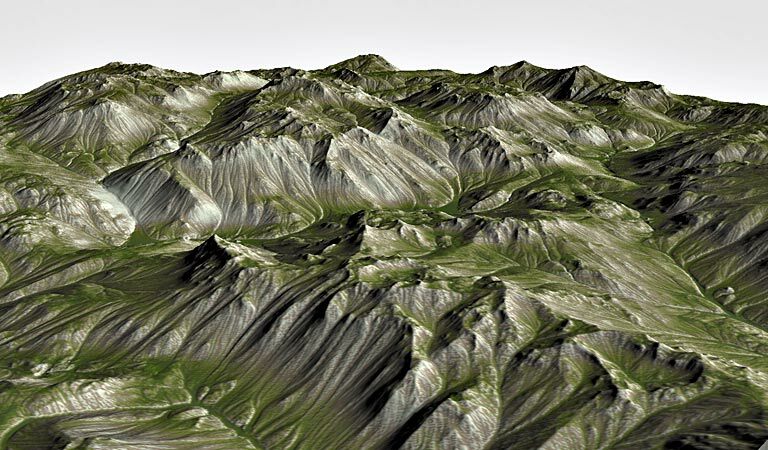 World Machine helps you create realistic 3D terrain. We set out to make World Machine 2.3 a simple bug fix release. It grew to be more than that. Creating worlds with convincingly varying terrain character has always been difficult. It has gotten a bit easier thanks to this new device. Create a simple grayscale guide map and any number of terrain type inputs. 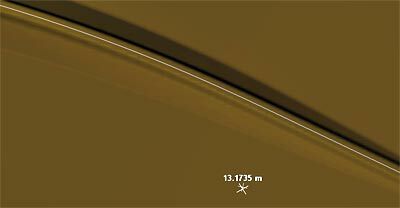 The Height Choooser will decide which terrain to place where according to the guide map, smoothly blending between them. What’s more, you also get mask outputs showing where each terrain type was placed — very useful for further processing or texturing. 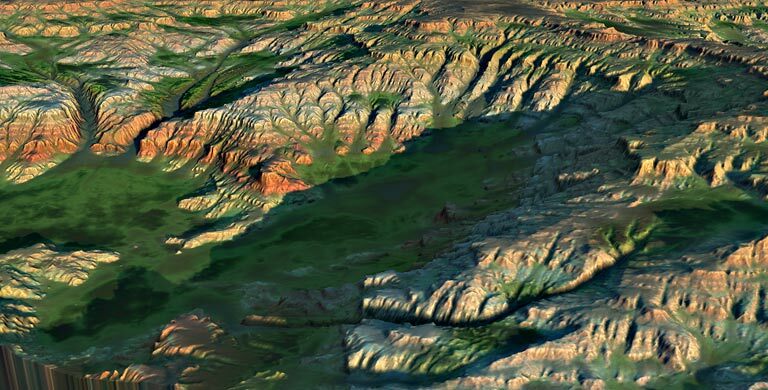 World Machine has always been able to produce excellent color maps for texturing. WM 2.3 introduces an exciting new way to manipulate your texture masks. The Splat Converter is a mask manipulation device that was designed to improve the ability to create so-called “splatmaps” or “weightmaps” for some modern game engines such as Unity and Unreal Engine. 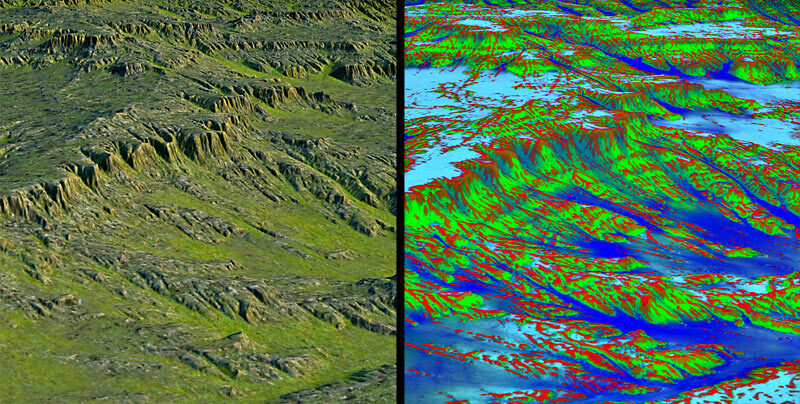 A splatmap is essentially a guide bitmap indicating the influence of different terrain textures at each pixel. The Splat Converter helps you manipulate your masks destined for splatting. You can choose which material blends to favor, the exclusion amount (contrast), and of course enforce sums-to-one behavior across your masks. 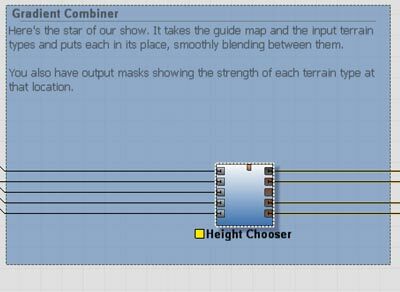 The Splat Converter supports up to 16 channel splatmap sets for your highly varied scenes! 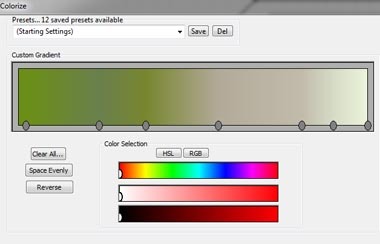 The Colorizer is a simple but powerful way to define texture colormaps. The example above uses only a single Colorizer to achieve all of its texturing! You’ll find yourself using this handy new device all over the place in your texturing networks. If you have multiple monitors, you probably don’t need to be told how useful they are! The Professional Edition now has multiple monitor support. Keep any views you want open on your additional monitor(s). Sometimes you need to export a large and detailed world region that doesn’t fit well into a rectangle. 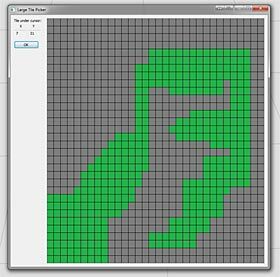 The Tiled build engine now has support for exporting a complex tileset instead of a complete regular grid. 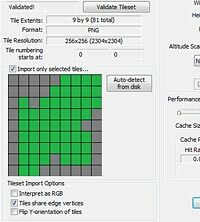 Although the tiles are still indexed on a grid, you can choose to export only certain tiles to better handle irregular map areas without wasting time building areas you do not need. Tiled Input is similarly updated with support for missing tiles and pickable import regions. In addition, tiles with non-square dimensions are now fully supported. As the steady march of technology has continued, higher and higher resolutions become possible. Accordingly, all of the resolution limits in World Machine have been raised to let you work with higher detail previews, views, and builds. Of course, you will need a powerful workstation to perform at the new maximums. Luckily, some of the remaining power-hungry devices have been multithreaded for higher performance. In addition, the Professional Edition can now use up to 32 cores! Also helping out, in a nice free upgrade the Standard Edition has gained 64bit support and 2-way multithreading. 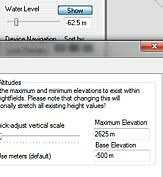 You can now import DXF polylines with elevations! A long requested feature, your Layout Generators can now import spline and line shapes with elevations from your favorite 3D software into World Machine. This makes it easy to imprint your terrain with geometry that you’ve already laid out instead of having to replicate it inside of World Machine. A highly requested feature, meshes may now be exported with their UV coordinates attached. For some workflows this cuts out an additional stop to assign a planar mapping. Additionally, tiled-build meshes are now placed automatically in their proper worldspace location so that your meshes line up right away. For the first time, World Machine can preserve all geolocation metadata using the .BT file format. You can now export your real world heightfields from GIS applications like Global Mapper, perform image processing on the heightfields, and save out the modified files with their geolocation data intact (including writing a new .prj file). The world file shown to the right is an outline of how it’s done. Just connect the pass-through metadata output and inputs and you’re good to go! Learning how to use complex graphics software can be intimidating. To help out, we took some time to create a collection of several dozen new example files for World Machine. We also added a “Open Example” menu shortcut to make the examples even easier to get at. All of the illustrations on this page are images from an example world. Look them up if you’re curious. And enjoy! You can now set a base elevation for the world that can be below zero. This small but important change makes matching to real world datasets a bit easier. World Machine now creates a handy palette of your most recently used devices along with any of your customized Favorites quick access list. Motion Blur can now be performed at any heading! … and other even smaller details all across the program (for example, parameters in a device might now properly enable or disable themselves). World Machine 2.3 was originally planned to be only a bug fix release. Even though we slipped more than a few new features into the release, the original goal was not forgotten. 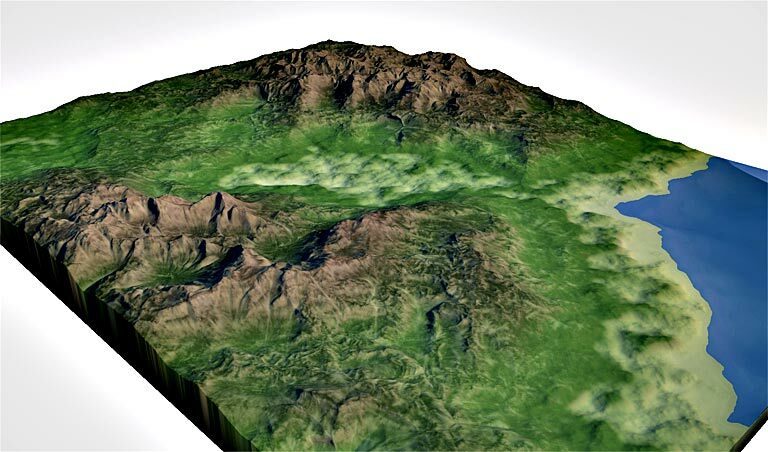 Quite a number of issues identified in previous versions of World Machine have been fixed. Memory-related errata in particular were heavily targeted. We remodeled many parts of the core codebase to help prevent future issues and make future releases happen faster! Subdivide vertex now works correctly in closed paths when vertex is beginning or end. You can now dismiss tabbed worlds directly, rather than having to first select that tab. Routes broken when copy/pasting macro? 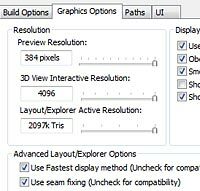 Tiled Build has small memory leak during blending? Breaklink doesn't falsify its output. why did this change? Thermal Weathering - can you enable hyperthreding on this device too?